Dr. McKee looked at the brains of 202 former football players and 87 percent of them were found to have the condition known as chronic traumatic encephalopathy. We have never seen a study this comprehensive, and the findings are harrowing. They confirm the worst fears of those branded as Cassandras for condemning the harsh effects of the game. The report also brands the legions of NFL Commissioner Roger Goodell’s apparatchiks and his access merchants in the media as scoundrels for arguing that better tackling techniques will save brains and that anyone who argues otherwise has some kind of secret agenda to “pussify” America. The facts don’t lie. Dr. McKee looked at the brains of 202 former football players, and 87 percent of them were found to have CTE, the degenerative traumatic brain injury believed to be caused by repeated blows to the head. Of the 111 who played in the National Football League, 110 were diagnosed with CTE. The effects of CTE are harrowing: It can include early-onset Alzheimer’s, dementia and has been linked to acts of random violence, acute depression, and suicide. 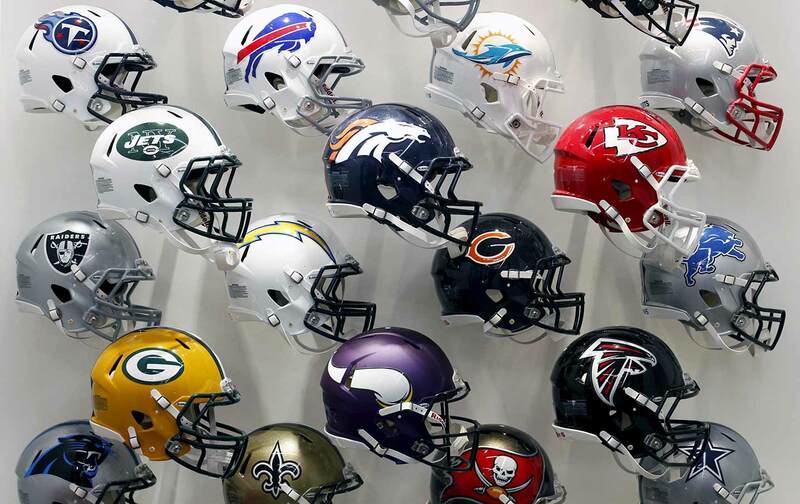 Of the 110 former NFL players diagnoses with CTE, 44 are lineman. This matters because it further proves that CTE is not the result of the kinds of jarring, highlight-ready helmet-to-helmet hits, but instead result from the daily grind of ‘sub-concussive hits’ we never see or acknowledge: the kinds of hits that take place on almost every single play. The NFL has made a high-profile public-relations campaign out of ‘cracking down’ on the dramatically violent hits to skill players. Their announcers no longer chortle with glee when these tackles take place, instead speaking with the somber tones of an undertaker. But that is all kabuki theater. The damage happens on every play, and this is why Dr. McKee’s study creates an even deeper existential threat to the very future existence of the sport. The only fault one could find with the study, and it is not small, is that there is—as Dr. McKee acknowledges—a great deal of selection bias at work. The reason these particular brains have been studied is precisely because family members donated them to the CTE Center. Their loved ones had changed before their deaths, with ages ranging from 23–89, and they wanted answers. Yet the overpowering data also raise a chilling question for the NFL’s very future: There are scientists currently working on a test that could detect CTE in the living. We are not talking about three-dimensional X-rays that can detect lesions or bruises on the brain, but an actual inexpensive CTE diagnosis for active athletes. If NFL players can access that science and find the beginnings of CTE—cases can range from mild to severe—would they retire at 24 or 25? If it can be detected in NCAA players, could the multibillion-dollar edifice of “amateur” athletics at institutions of higher learning justify football’s existence? Will universities justify brain injury in overwhelmingly black athletes for the entertainment of overwhelmingly white students? If it can be something easily detected at the high-school level, would football be impossible to insure or morally justify? These are the questions that NFL Commissioner Roger Goodell will need to confront openly if his sport is going to have a future. Or he could just say that the report is “fake news.” That also seems to be working well these days, and such a move will undoubtedly be supported by more than a few of his bosses in the owner’s box. Let’s hope Commissioner Goodell has more character than the person that NFL owners supported to become president.